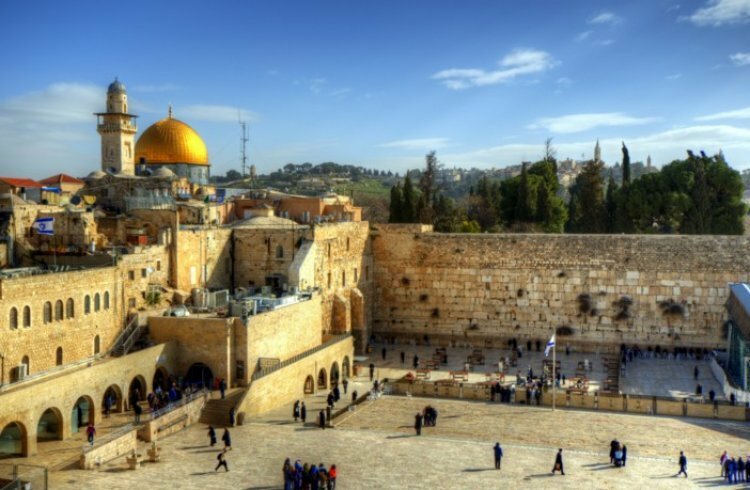 Is Jerusalem Holy to Muslims? Viral on the WebTrump’s Passover Message: "The Jewish People have Uplifted the World Beyond Measure"
Fact 1: How many times is Jerusalem mentioned in the Koran? Not even once whereas in our scriptures it is mentioned over 500 times! There are those who try to claim Al-Aksa symbolizes Jerusalem but that isn’t true because Al-Aksa just means ‘the furthest mosque’. Scholars of Islamic studies explain that the furthest mosque was really next to Mecca and certainly not Jerusalem. This is learned from the story in the Koran that Muhammad traveled to ‘the furthest mosque’ which happened in the year 621. This doesn’t chronologically fit with the mosque in Jerusalem bearing the name Al-Aksa which was built in the year 705 over 84 years later. Fact 2: Which Arab capital are they talking about? King David was the king who made Jerusalem the capital of Israel so how can the Arabs say that Jerusalem is the capital of Palestine? Fact 3: Tell me how you treat your holy places and I’ll tell you who you are! Is violence permitted in a place you deem holy? No! But that doesn’t stop Muslims from irreverent conduct and both verbal and physical violence on the Temple Mount, the same place their mosque called ‘Bet Almakdasim’ is. ‘Bet Almakdasim’ literally means “The house on the temple’ meaning the place of our temple! The name they call their mosque is just another historical proof of the Temple Mount once having a Jewish temple on it. Fact 4: Which way do they pray? Turning your back on a holy place is deeply irreverent! Jews respect their places of worship and they all face Jerusalem (whenever possible and with few exceptions). A person praying at the Western wall won’t turn his back to it. Most will walk out backwards out of deep respect for the holy site. Muslims on the other hand pray on the Temple Mount with their backs to the Temple Mount facing Mecca. When they turn their backs on something what does that tell you? Fact 5: We were here first! Here is a collection of undisputed facts: King David made Jerusalem the capital of Israel, his son King Solomon built the First Temple, the Second Temple was also built on the Temple Mount, The Romans sacked the Second Temple and destroyed it slaughtering Jews and exiling most of them to faraway lands, the Muslims captured Jerusalem and built a mosque at the Temple Mount where our temple was previously. Is there anyone who still believes that Jerusalem belongs to the Arabs or that they even consider it holy?